As the legalization of marijuana for both medical and recreational use continues to sweep the country by storm, the methods of using marijuana have definitely come a long way. Where smoking has long been the preferred method of consuming marijuana, it seems that, these days, people have quite a few more options. Marijuana oil has become one of the most popular ways to use marijuana with more people being turned on to oil rather than the traditional flowers. For those new to marijuana or those who are familiar with smoking the flower (or bud) of the marijuana plant, knowing how to use marijuana oil can seem a little complicated. 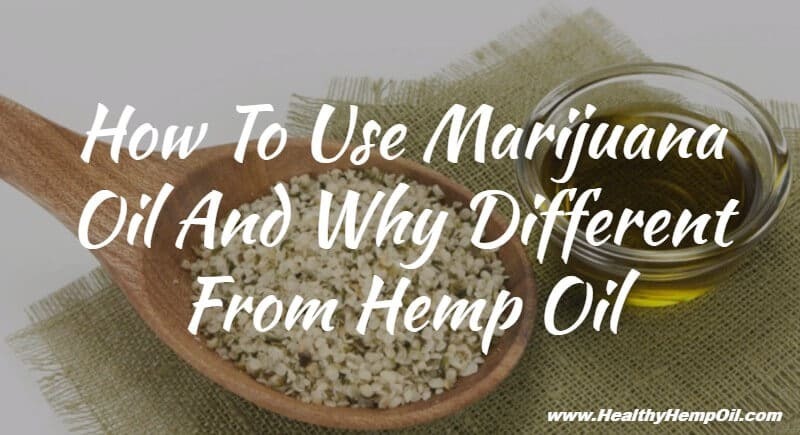 It can be difficult to discern the difference between hemp and marijuana oil. And it’s important (especially if you’re new to medical cannabis) to know the difference between the two before you learn just how to use marijuana oil. Knowing the difference will ensure that you’re using it for exactly what you need, and it will give you the most optimal effect. It’s important not to be misled about the intended uses for the marijuana oil you choose to use. Hemp oil and marijuana oil are two different substances entirely, and it’s important to know what you’re getting into prior to consumption. For all practical purposes, the hemp plant and the cannabis plant are very different indeed. 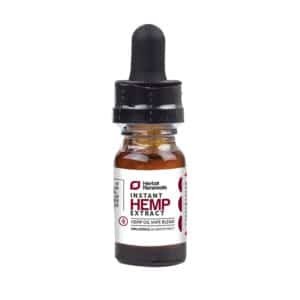 There’s often some confusion between hemp oil vs cannabis oil. Both come from the cannabis sativa plant, but the biology of the two are decidedly different. While both plants contain compounds known as cannabinoids, marijuana contains the most well-known cannabinoid, THC (responsible for the “high” most people associate with cannabis in general) while hemp contains large amounts of CBD (also known as cannabidiol, which contains no psychoactive effects). Hemp oil contains very little THC. For an oil to be considered hemp, it must contain less than 0.3% THC. Marijuana oil, on the other hand, contains higher doses of THC oil and causes the high most people associate with marijuana. Marijuana oil generally contains 5-20% THC and has a higher ratio of THC than CBD. 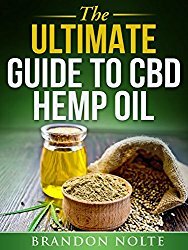 Knowing the difference between marijuana oil and hemp oil will make a huge difference when it comes time to safely consume marijuana oil. Many medical cannabis patients (and recreational marijuana smokers) are turning to marijuana as an alternative to consume their cannabis. 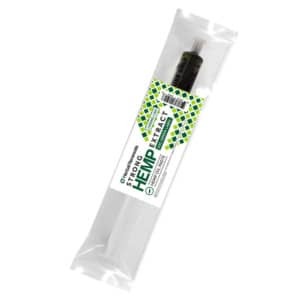 Marijuana oil is traditionally ingested using what’s known as a vape pen. Although subject to the quality of marijuana oil that you’re consuming, a vape pen provides a healthy substitute to inhaling the smoke from cannabis flower. Numerous studies have shown that people using vape pens have fewer respiratory issues than those who burn marijuana in a joint or a bowl. Using a vape pen with marijuana oil has been shown to reduce some 90% of the carcinogens found when smoking marijuana. If smoking isn’t your thing, you’re in luck. A vape pen is the only one of the methods of consumption when it comes to enjoying marijuana oil. You can choose to use a variety of different products that are infused with marijuana oil including sprays, lozenges, capsules, edibles, and more. Finding out how to use marijuana oil in the right context for you will be widely dependent on what method you prefer. For those considering learning how to use marijuana oil, finding the right dose is critical. The right amount of oil to use is going to depend on the person using it as well as the condition being treated. Someone’s sensitivity to THC is a big determining factor on how much of a dosage should be taken. Too much THC can cause negative feelings in those sensitive to it while too little THC won’t offer the desired effects. Cannabis dosing is serious business, and it’s important to know just how much (or how little) to take. It’s best to begin with low doses of marijuana oil, especially if you have little past experience with cannabis. Rather than taking one big dose, it’s better to take smaller doses throughout the day to gauge where your comfort level is in using marijuana oil for the first time. When you find a comfortable dose, stick with it for the first few times or until you’re ready for a heavier-hitting effect. What Side Effects Should You Be Aware of When Learning How to Use Marijuana Oil? A smart thing to do when learning how to use marijuana oil is to remember that less really is more. Marijuana oil can be very beneficial, but if too much is taken, that can affect the desire to try it again. It’s also wise to make yourself aware of the possible side effects associated with cannabis and marijuana oil. Cannabis has proven to be a safe and effective way to alleviate a number of different conditions. There’s no possible risk of overdose, but, depending on the dosage and one’s sensitivity to THC, it can provoke and intensify underlying anxiety or other mood maladies. Additional side effects can include dizziness and dry mouth, and it can make some people feel lightheaded. Cannabis oil has been shown to be an effective component to many a person’s health and wellness regime. 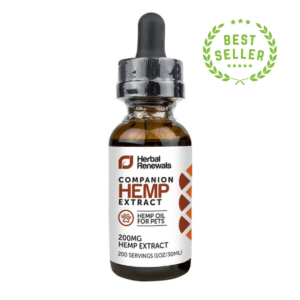 It is one of the safest and most effective ways to consume cannabis and is gaining in popularity with monumental speed. Do you have experience on how to use marijuana oil that you’ve found to be particularly beneficial? What is your favorite way to use marijuana oil? We’d love to hear about it in the comments below!